The Google AdSense blog announced that publishers in the Google AdSense network now have the option to allow "Google certified" third-party ad networks to compete for the ad space on your web site. In short, this should help publishers earn more money, due to adding more competition into the network. But you have to opt into this and allow image ads. You might not be able to add this today, since it is "slowly roll this out over the next several months." 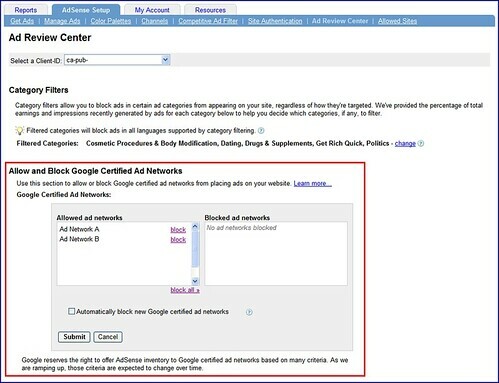 Here is a picture on where you will be able to activate third part ad networks in the AdSense console. The overall impression from publishers is positive and they are eager to give this new feature and program a try. For more details on how this works, see the AdSense Help Center.